Reine, December 12, 2018 in Travel. 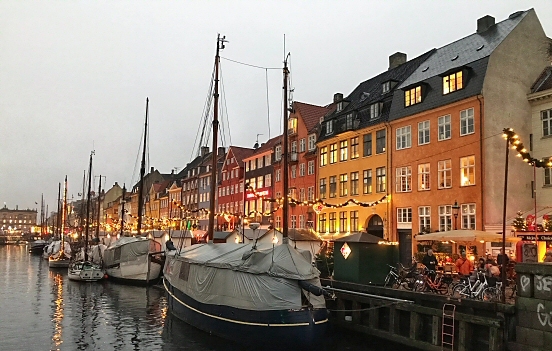 I spent the weekend in Copenhagen, enduring cold weather and rain showers to explore a lot of Christmas markets littered around the city. Reine, March 04, 2018 in Music. I’ve spent the weekend in Copenhagen, visiting the 25 year anniversary celebration of Club Metropolis. The club started in 1993 at Barbue, a venue located on the first floor of Huset. Barbue was shut down a few years later, but resurfaced this weekend. Reine, May 03, 2014 in Travel. Cheers from Copenhagen Beer Celebration 2014, where I’ve met my old friends Mikkeller, To Öl and more. (Carlsberg? What’s that?). Reine, August 25, 2009 in Travel. A few days ago I was driving around in Denmark with friends. We discovered an unusually large dune by the horizon and drove there. At sunset we climbed the dune with sand flowing into our eyes and throats. As we reached the summit we discovered the old lighthouse Rubjerg Knude, built in 1899 at the top of Lønstrup Klint. Reine, August 24, 2009 in Travel. I recently got back from a roadtrip in Denmark where the main topic was German bunkers from World War II. I believe we saw almost a hundred of them and entered several dozen. For some it may seem like a wierd vacation but it’s a very real part of history which we always need to learn more about.